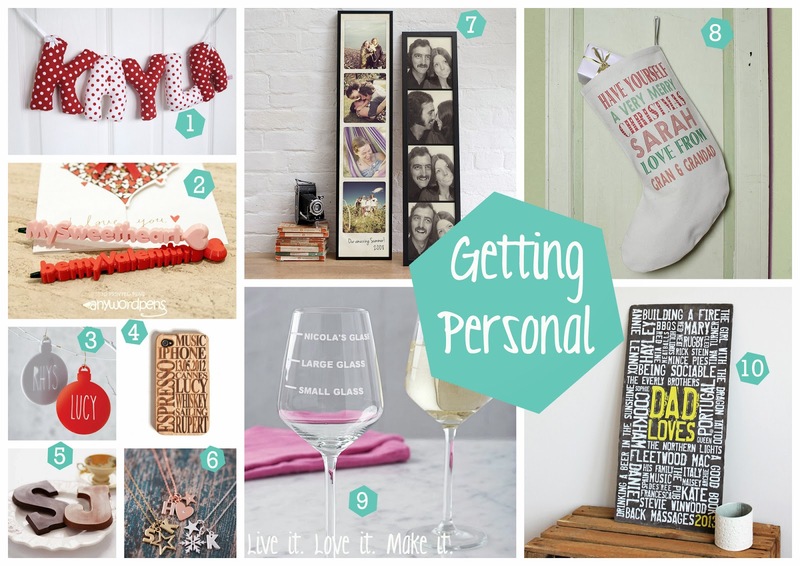 There is nothing better than finding the perfect gift for a loved one, making that gift totally unique is easy when you opt for something personalised. Today's Favourite Friday is my pick of the top ten personalised gifts from some talented folk via my favourite gift sites on the web, Etsy.com and Not on the High Street. I have a few friends who that personalised wine glass would be just perfect for, and I have already bought one of those awesome 3D pens for Steve, they offer one for gamers that you can have made as their gamer tag. I am making a stocking for my Niece but this personal message one would be fab if your short on time. The Giant Photo strip is pricey, but a great gift for anyone, at any time of the year! Keep in mind that personalised gifts often have a Christmas order deadline, so get your orders in ASAP. I hope this was a help for some of you who are struggling for those tricky gifts for those loved ones who have everything. Have you done all your gift shopping yet?